The number one question I'm asked whenever people discover that I'm a real estate agent is "how's business" or" how's the market?" Everyone it seems is interested home values--some are hoping to revive the daydream of triple digit appreciation, others I'm sure are wondering if their number one asset has stopped losing value. A few years ago when I was trying to decide if I could make a living by focusing my real estate practice exclusively in Reston I ran some numbers that convinced me that focusing on Reston was not only reasonable it was smart. 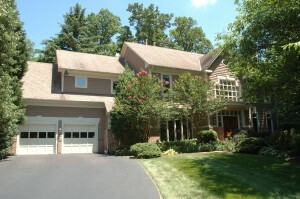 The Reston real estate market is a large, about $400,000,000 in transactions per year. Our market is also diverse with a wide range of housing types. The most striking feature of today's market is that the inventory is painfully low. There are a total of 164 fully active properties on the market in the 3 Reston zip codes. The 20190 code has 47 active listings, 20191 has 68 active listings and 20194 has 49 active listings. Prices on those 164 listings range from 1,500,000.00 - 125,000.00. A good time to sell or not? If you're thinking of selling your property the rules of supply and demand would suggest that now is a great time to sell. Many sellers are seeing a very short number of days on market and are even receiving multiple offers. But, the other striking feature of this market is how price sensitive it is. Sellers that list above market because they think they need "room to negotiate" are seeing their homes sit, and sit, and sit. Sellers that put their property on to the market priced within (or even slightly below), spitting distance of reasonable com-parables are receiving multiple offers. So--how's the market in Reston? If you're priced right it's great, if you're not it's slow.